Released this week, the Musculoskeletal core capabilities framework for first point of contact practitioners is essential reading for chiropractors. Published by NHS England, Health Education England and Skills for Health 2018, the Framework was developed with the Arthritis and Musculoskeletal Alliance (ARMA), of which the RCC is part, and a range of other stakeholders across the whole MSK sector. D) Service and Professional Development. It can be used by practitioners in many ways but, in particular, to review skills, identify training needs and plan continuing professional development. In 2012, the American Board of Internal Medicine (ABIM) Foundation launched Choosing Wisely, an initiative to advance a national dialogue on avoiding wasteful or unnecessary medical tests, treatments and procedures. The initiative has subsequently become global and Choosing Wisely UK was launched last week by the Academy or Medical Royal Colleges. The Academy listed 40 treatments and procedures that are of little or no benefit to patients using recommendations supplied by NICE, and the eleven medical royal colleges that have contributed to date. The Academy’s list included the recommendation that ‘back pain which is uncomplicated, that is not associated with ‘red flags’ or radicolupathy usually does not require imaging‘. 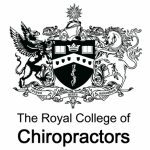 The Royal College of Chiropractors (RCC) is pleased to support this recommendation which concurs with the RCC’s Quality Standards on Acute Low Back Pain and Chronic Low Back Pain. The RCC’s Health Policy Unit has developed a new Chiropractic Quality Standard on Chronic Pain, the latest in a series of RCC Quality Standards that aim to make it clear to patients, the public, healthcare professionals, commissioners and chiropractors what high-quality chiropractic care looks like. The Chartered Society of Physiotherapy has recently called for the NHS to provide direct access to physiotherapy without the need to see a GP first (1). The Royal College of Chiropractors supports the notion that NHS patients with musculoskeletal conditions should have direct access to skilled and competent health professionals who can assess their needs and provide appropriate care. Chiropractors, regulated health care professionals who already fulfil this role in private practice, have the necessary skills and competencies (2) and are ideally placed to offer this to NHS patients in the community. Where chiropractors have been commissioned to work in the NHS, the resultant services have proved popular with patients and their GPs and have demonstrated safe, effective and cost-effective care. Indeed, it has been shown that these services have reduced demand on other NHS services potentially reducing overall costs (3). Chiropractors represent a highly skilled, underutilised workforce and the Royal College of Chiropractors would like to see better utilisation of chiropractors in the NHS to improve patient outcomes and quality of care, and to reduce overall costs. Similar documents addressing other musculoskeletal conditions are under development, as are CPD opportunities that will help chiropractors further develop their competencies and skills in key areas. In March 2015, new regulations came into force in England and Wales whereby it is an offence to drive with a specific controlled drug in the body above that drug’s accepted limit. Eight prescription drugs/drug groups, and eight illicit drugs, were added to the list at that time. Regulations on amphetamine came into force in April 2015. Patients must speak to their doctor before driving whilst taking any of the above drugs. Individuals can drive after taking these drugs if they’ve been prescribed them and followed advice on how to take them by a healthcare professional, and they aren’t causing them to be unfit to drive, even if the level of the drug is above the specified limits. Further information for healthcare professions is available here. A recent RCC Research Bulletin highlighted the comparative effectiveness of spinal manipulation for sciatica. The findings outlined in the bulletin are compatible with the ‘Pathfinder’ Pathway of Care for Low Back and Radicular Pain (NHS England, 2014) which provides a generic pathway for the management of low back and radicular pain based on a consensus of all stakeholders. The pathway identifies manual therapy (manipulation) and acupuncture as appropriate for radicular pain where there is pain and/or sensory deficit; however, emergency surgical referral is required for suspected spinal cord or cauda equina syndrome. Urgent referral for MRI or surgical opinion is also required for suspected tumour, infection or severe or progressive motor deficit (e.g. foot drop) and MRI is recommended if a patient fails to improve with conservative therapy. The BMJ has highlighted a recent UK Supreme Court ruling that effectively means a doctor can no longer decide what a patient needs to know about the risks of treatment when seeking consent. Doctors will now have to take reasonable care to ensure the patient is aware of any material risks involved in any recommended treatment, and of any reasonable alternative or variant treatments. Furthermore, what counts as material risk can no longer be based on a responsible body of medical opinion, but rather on the view of ‘a reasonable person in the patient’s position’. The BMJ article is available here. The RCC feels it is important for chiropractors to be aware of this development which is relevant to all healthcare professionals. NHS England Pathfinder Projects were established to address high value care pathways which cross commissioning and health care boundaries. Many conditions require a pathway of care which moves from the GP through primary care and community services and into secondary care, and sometimes specialised services. Difficulties in commissioning across boundaries can cause artificial interruptions in what should be a seamless care pathway and the Pathfinder Projects are designed for all stakeholders to work collaboratively to examine in depth these health care interfaces and to develop commissioning structures to commission care across the whole pathway. The Trauma Programme of Care Board selected low back pain and radicular pain as their Pathfinder Project and the Clinical Group, which included RCC Health Policy Unit Chair, Mark Gurden FRCC, has now produced its report, available here. Simple, manual palpation of your patient’s pulse could help in the detection of atrial fibrillation (AF), a condition that causes an irregular heart rate and is a significant risk factor for stroke, particularly in the elderly. A recent article in Pulse suggests that more opportunistic testing of patients could help in the detection of AF which is asymptomatic in an estimated 30-40% of people. Currently NICE recommends manual pulse palpation in any patient with one symptom such as breathlessness, palpitations, dizziness, chest discomfort or stroke/transient ischaemic attack. Chiropractors need to be aware of these recommendations and be alert to the signs and symptoms of AF. For patients who are undiagnosed, this simple test could reveal the need for immediate referral to a GP. The RCC’s Pain Faculty has commented here.